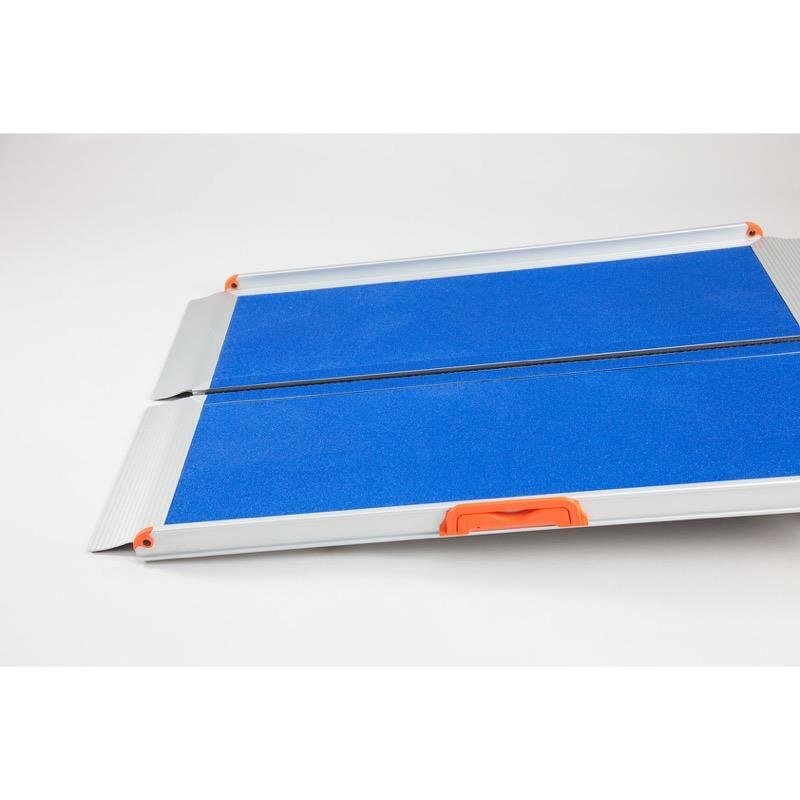 These folding wheelchair ramps are extremely lightweight yet super strong and are easily portable as they fold to half their width. Next working day UK mainland delivery. These folding wheelchair ramps are incredibly strong yet ultra-lightweight. They are ideal for electric or manual wheelchairs as well as scooters and are quick and easy to set up as they require no installation or fixing. 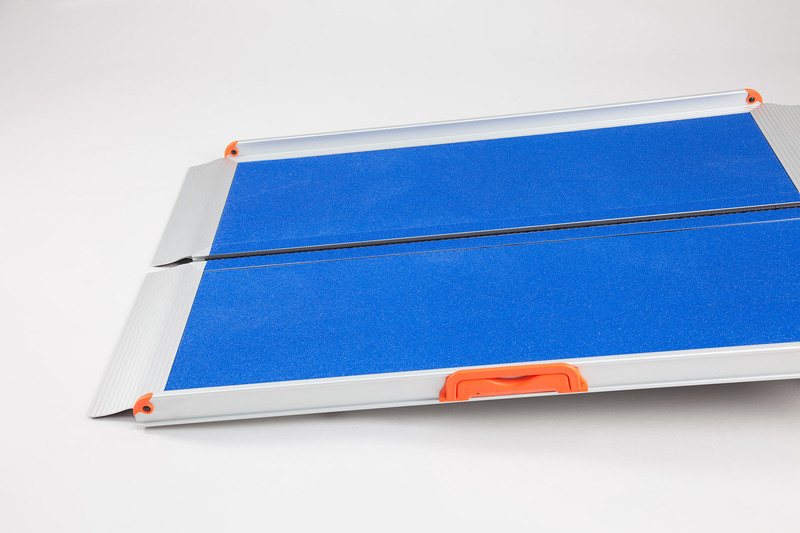 They feature a durable anti-slip surface, centre mounted carrying handle and a 300kg weight capacity. Their suitcase style enables them to be easily transported and they clip and strap together when folded. Available in 2ft, 3ft, 4ft, 5ft, 6ft,7ft & 8ft lengths.